Who Wore It Better? Season 1 - Winner Announced! Welcome to Who Wore It Better! 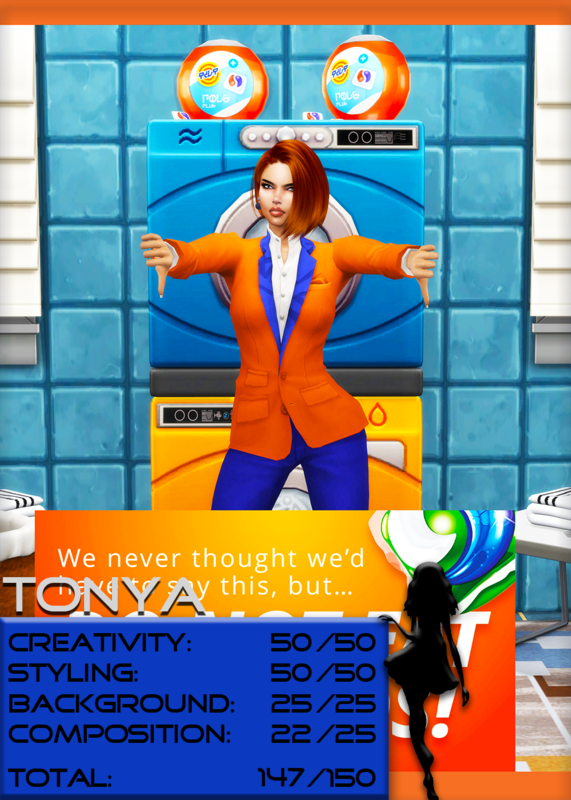 This is a competition about dressing your model in pack clothing (base game, expansion packs, game packs, and stuff packs!) and seeing who did better at wearing and flaunting it. Yes, I said packs! For this first cycle, much like the original, we will be focusing on Base Game clothing. Each round I will choose a piece of clothing (or more) that is the focus of your outfit. You will then design an outfit around that piece of clothing and come up with a theme. 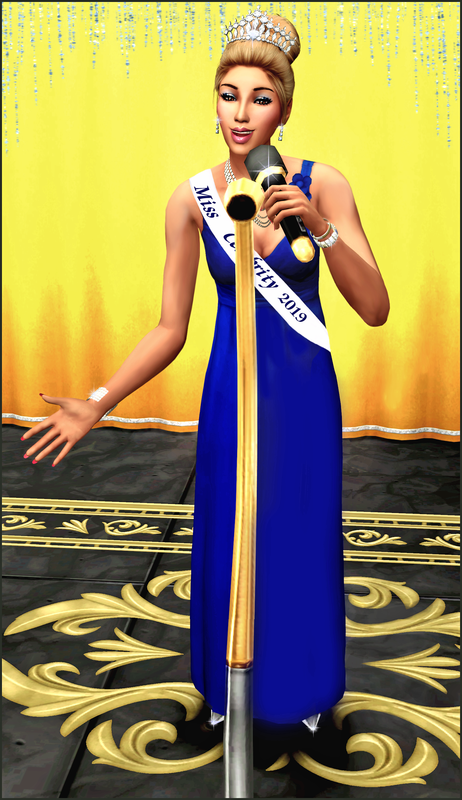 Unlike Sims 3, Sims 4 does not have a color wheel which removes some of the fun and creativity of the original comp, but I believe that this creates a unique challenge and presents a different way for you to be creative. 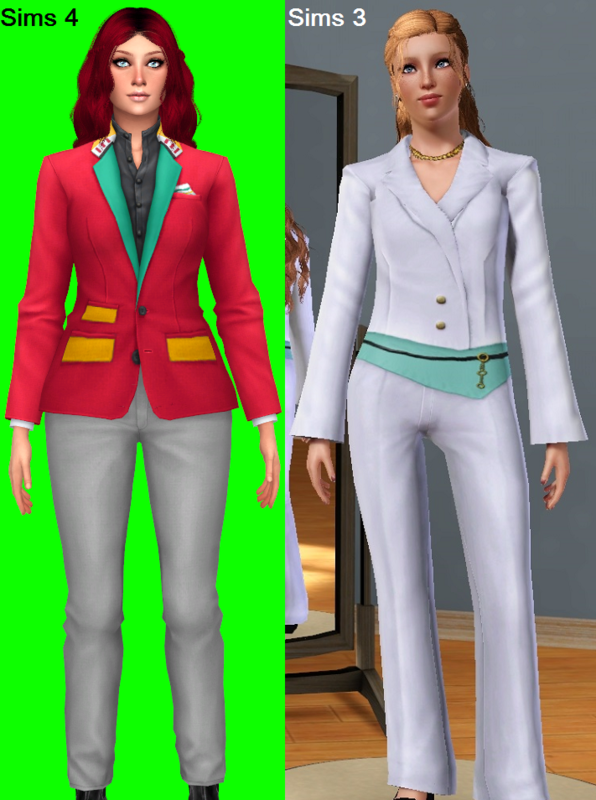 First, you can use any packs from the Sims when dressing your model as long as the base game clothing I selected is present. Second, since there is no color wheel in S4 you can recolor clothes if you know how to, OR you can find recolors of that outfit from someone else. 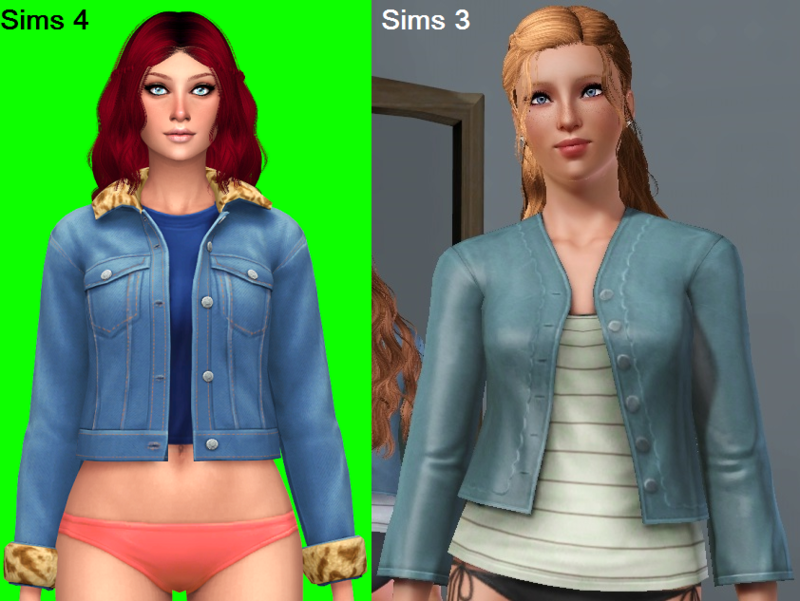 I don’t see recolors of pack clothes as CC, as long as there is no mesh edit, since it’s similar to how recolors in S3 worked. It is not required for you to recolor and you can just use the base game colors, but it’s an option if you want to. I made sure to choose clothes that had lots of color options for those that can’t recolor. Also, if someone asks for help on how to recolor, please help them by linking tutorials, etc. 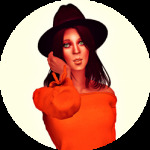 As for CC in general, you can not use CC for the clothes, but the makeup, hair, accessories, shoes, etc. can be CC. Please make sure to be careful when dressing your model so that you don’t accidentally select CC for the clothes, otherwise there will be a point penalty. 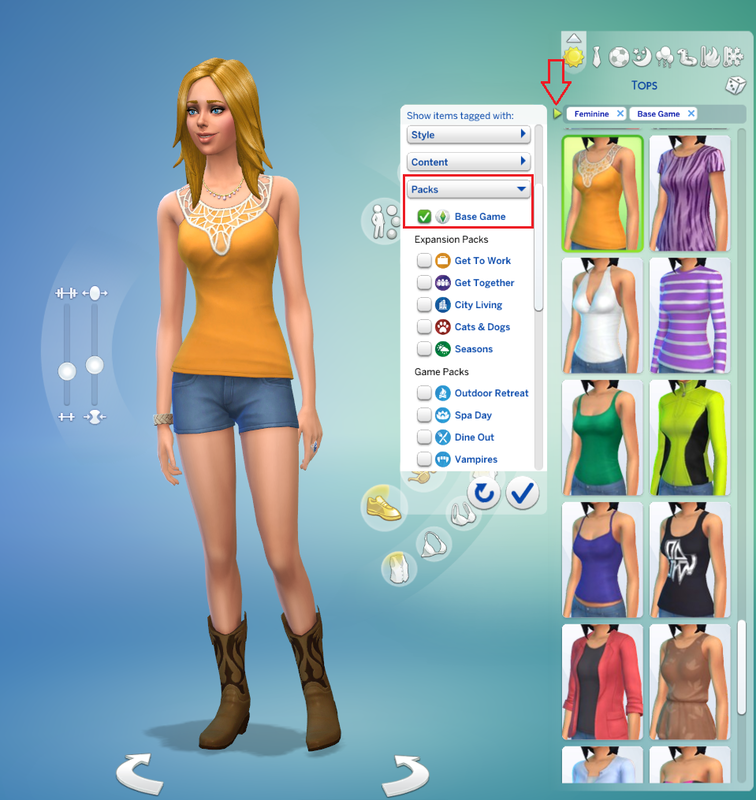 Below the spoiler I show you where to filter clothes based on packs, colors, etc. After you are done dressing your model, you will present your clothing in a creative way based on your theme. Did you design a party outfit? Then show your model at a party! Did you design it to be a gardening outfit? Then show them in a garden! The way you present the outfit is just as important as creating it, so make sure to do your best! Another part of the challenge is that you will only be using in-game backgrounds. You can cut out your model to add to an in-game background, or you can just do everything in-game. The choice is yours! When you submit you will also provide a description of the outfit and what inspired you. For those curious, there are major differences between the original and this new version to not only avoid being a direct copy, but also because I wanted to change some things or needed to make some changes. That’s it! I hope you enjoy this competition! 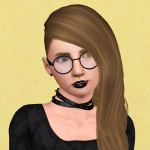 The model in the application you submit is your “designer” sim to represent your presence (it does not have to be a simself and can be any species, size, or gender, ages Teen to Elder). For the assignments, you can use different sims each round. Teen to Elder, any gender, any size, any supernatural/fantasy/sci-fi/etc. sims or berry sims. You can have multiple sims in your images. A maximum of 2 designers (applications) per person. There is no roleplaying or storytelling required in this comp, unless you choose to do so. Descriptions of the outfits and what inspired you are required each round, but they can be short. CC is allowed for makeup, hair, accessories, shoes, etc., but not clothes. Recolors of clothes are allowed as they are not considered CC in this comp, but no recolors that include Mesh Edits because then it’s a CC item. CC in general is not required. Be careful when dressing your models so that CC clothing is not used, otherwise there will be a point penalty. The clothing item I choose is not gender restricted. This means if I choose a dress you are allowed to place it on a male and vice versa. Just make sure that whoever you choose looks fashionable! 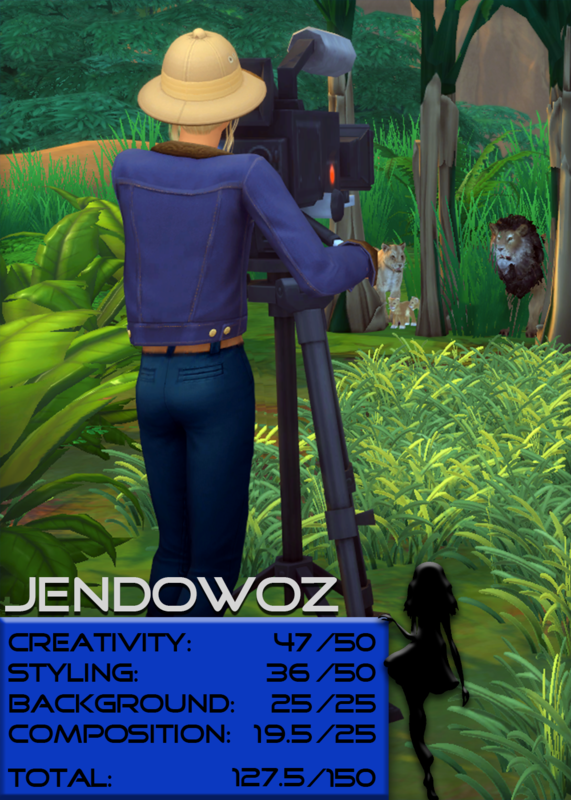 Editing is optional since in-game backgrounds or shots are required, making this beginner friendly. 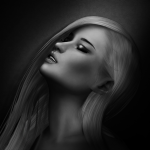 You are allowed to draw hair, makeup, shoes, or accessories for this comp. If needed you can add in objects to your background, but the background itself must still be in-game. Google/stock clothing is not allowed. High quality hair and accessories are fine. If you do shoes, do not use human or art toes, legs, etc. Each round I will assign a clothing piece that is the center of your outfit. This can be a dress, suit, shorts, shirt, etc., male or female. 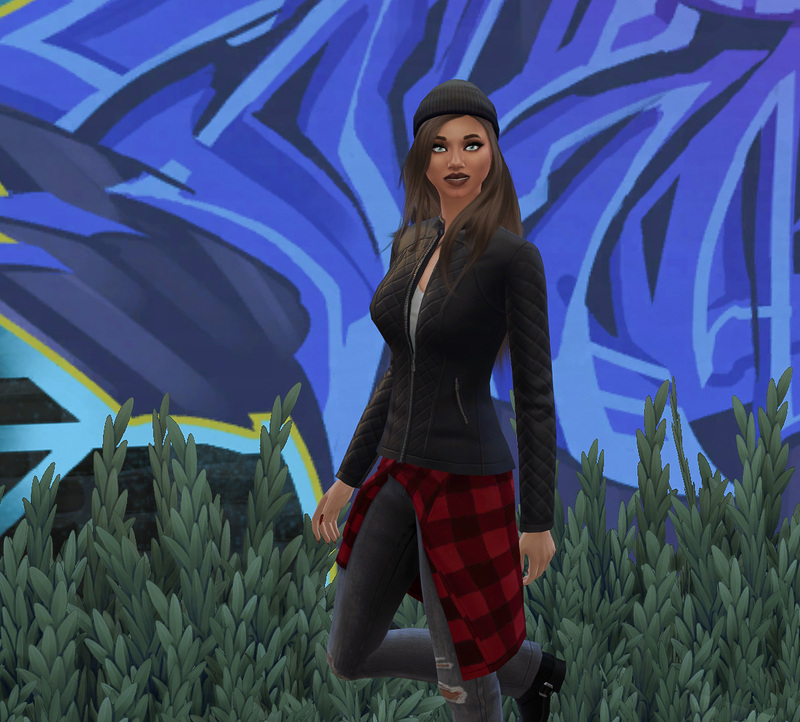 You must design an outfit around that clothing piece with pack clothing only (expansion packs, game packs, stuff packs, or base game), then use in-game, CC, or Google accessories to enhance the look. Assignments/rounds will be 6-7 days long, depending on the clothing and round. This is a non-cumulative (aka no “leaderboard”) competition with eliminations. There will only be 8 rounds for this competition, with the semi-finals in round 7 and the Final 3 competing in round 8. Eliminations begin Assignment 3 so everyone has time to get used to the competition. Please see the Scoring section (forum) and/or #results channel (Discord) for information on the scoring rubric, score breakdown, and tips. And here we are at the finale! This round you will be creating TWO looks, both following the same theme and in the SAME image (so 1 image for both looks, and not counting your optional pic of course). This theme can be patterns, colors, or even an idea like police officers, circus performers, etc. 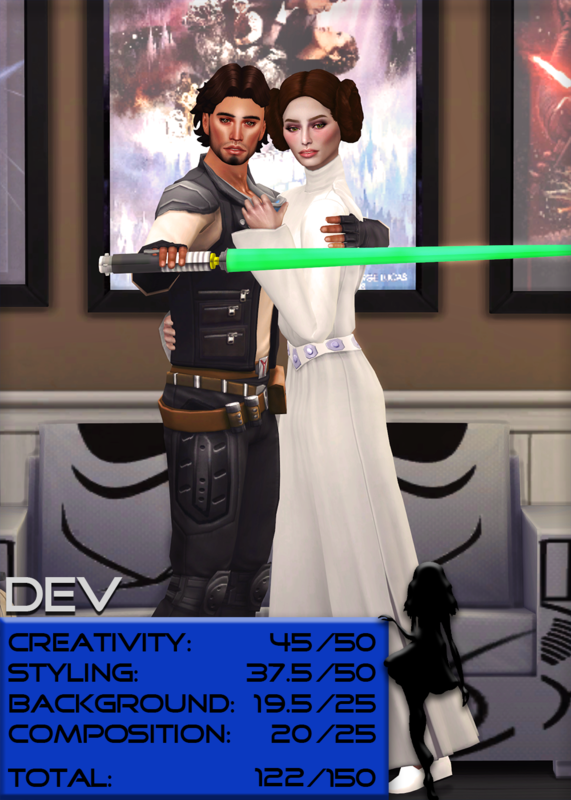 You can use ANY combo of genders, and you can use ANY BASE GAME clothing, including ones previously used in assignments (so no CC still for clothes). As usual, other pack clothing can accompany your look as long as at least 1 item is base game and is the star of your outfit. 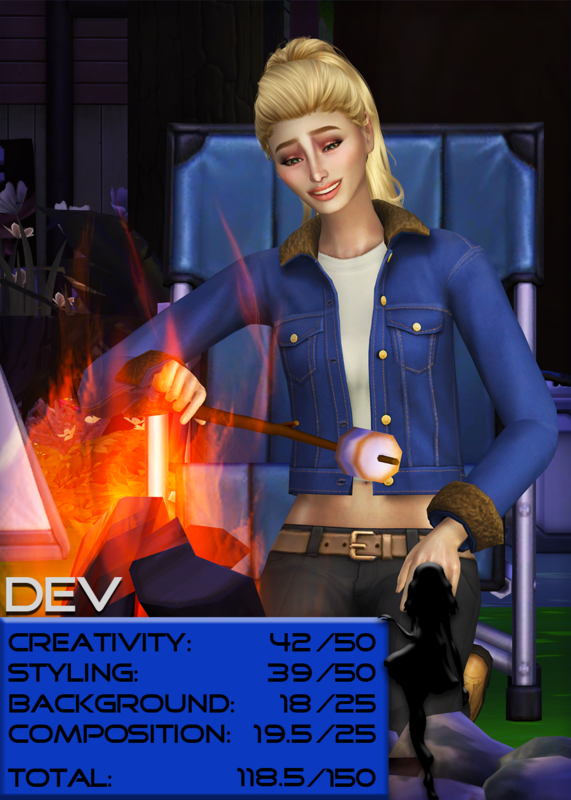 I would prefer you guys use two sims only, but if you feel your idea must have more sims then you can add them, but please STATE and make it obvious with your skills which 2 sims are the main focus. This is just like Round 6, but now you are doing 2 matching styles and can use previous base game clothes. This is your submission form for each round, and you won’t be scored on what you write! This is to let the judges and other people know what your inspiration was, where they can find the recolors, etc. I always had fun filling these out when I competed and showing off my recolors for more downloads. These can be short and simple, so no need to panic! 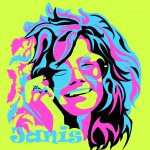 Creativity – Did you go above and beyond? Was your idea out of the box? Are you truly using your resources to the best of your ability? Are your poses, theme, background, etc. creative and cohesive? 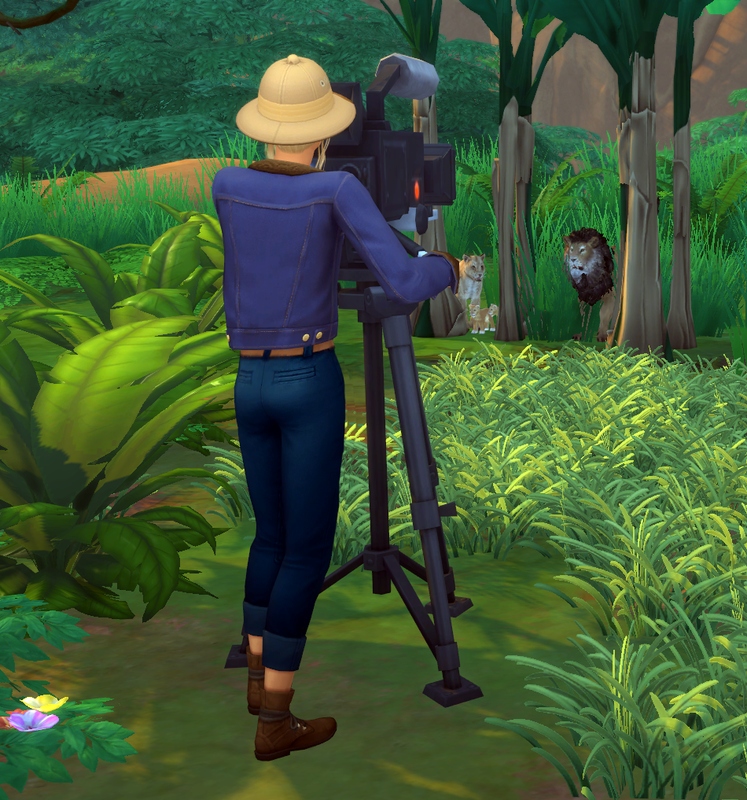 Remember, we are looking for creative ideas and not just a sim standing there. Styling – Did you use the required clothing item? Did you follow any other requirements? How well put together is your outfit and does the required clothing item still play a role? Is the outfit theme cohesive and look fashionable and/or useful? Set/Background – How is your set in-game? Is it interesting? Is it properly balanced, not too little and not too much? Does the set/location complement the theme/requirements of the outfit? Was your set building and placement good? Is there anything that detracts from the model? Read other people’s feedback to learn extra tips, and use the feedback to improve. Be creative with your clothes and presentation! 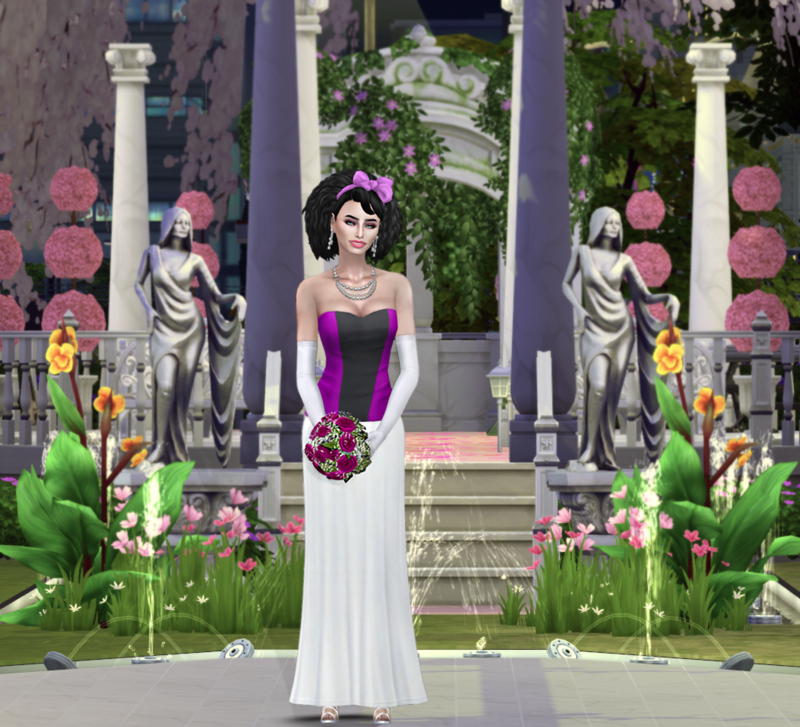 Don’t just pose your sim standing there staring at the camera. In-game actions are perfect for this type of comp if you can’t find any poses. Even though this is a fashion-based comp, this is not a modeling comp. Make sure your theme is consistent and we can see your outfit. Use angles and lighting/weather to your advantage for unique shots. W/A/S/D (Arrow keys work too) - Move camera forward/left/backwards/right. Ctrl + W/A/S/D (Arrow keys work too) - Rotates the camera in that direction. 0 (Zero) - Pause or unpause the game, and works in Tab mode unlike the P key. Good for All-in-One poses or animations without having to constantly exit tab mode just to pause the game on a certain pose. Numbers 1-3 – Different game speeds. 1 is regular, 2 medium, 3 ultra. If you’re doing an animation pose, use these to speed up gameplay. Shift + 5-9 - Instantly change camera position to saved spot. Hitting the numbers without Shift causes the camera to slowly go to that position. After testing a lot of the controls, I noticed that Ctrl + Q/E is the only one that doesn’t do anything. Alt also has no effect. hovereffects off – If you don’t use the mod listed below to remove the highlight, use this instead. 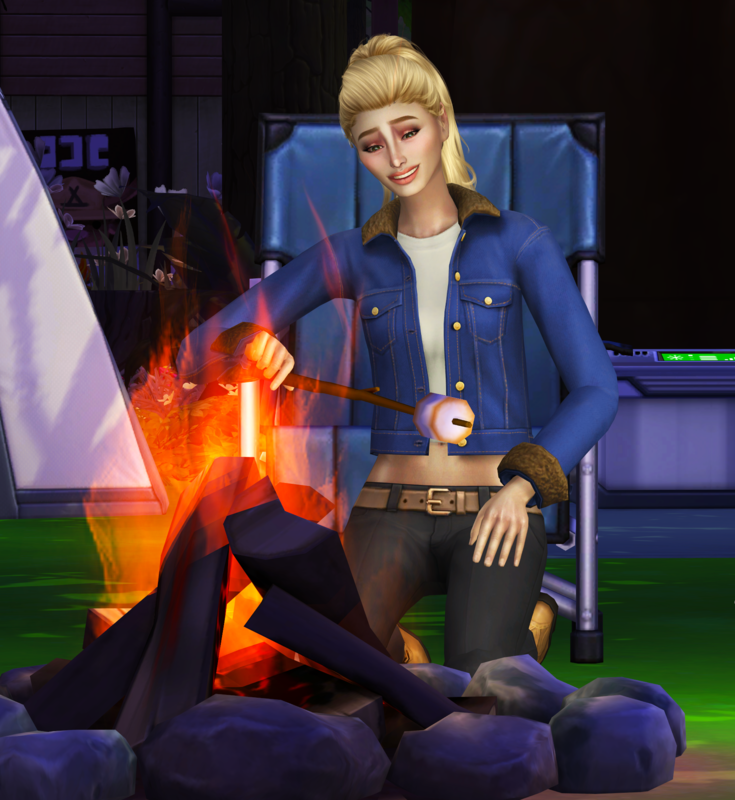 Download the Outdoor NoBlu mod (It says Willow Creek on the page, but the download includes all worlds.) This has not been updated in a while, so refer to this post on how to update any world file. Download No Fade Sims and Objects mod A little broken with pets, and I believe snow, but still loads and works fine. 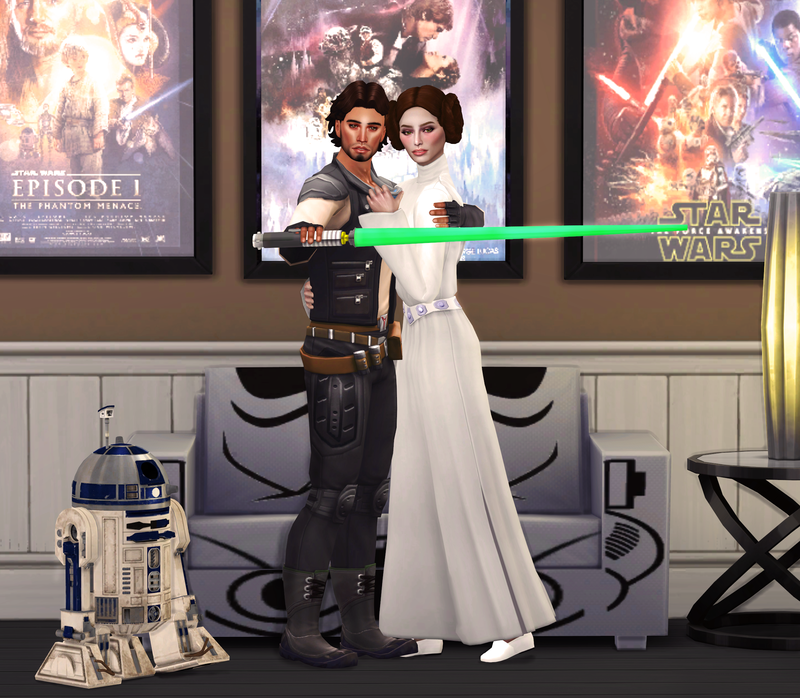 Download Hidden Highlight mod For those of you who accidentally highlight their sims or objects when taking pictures. 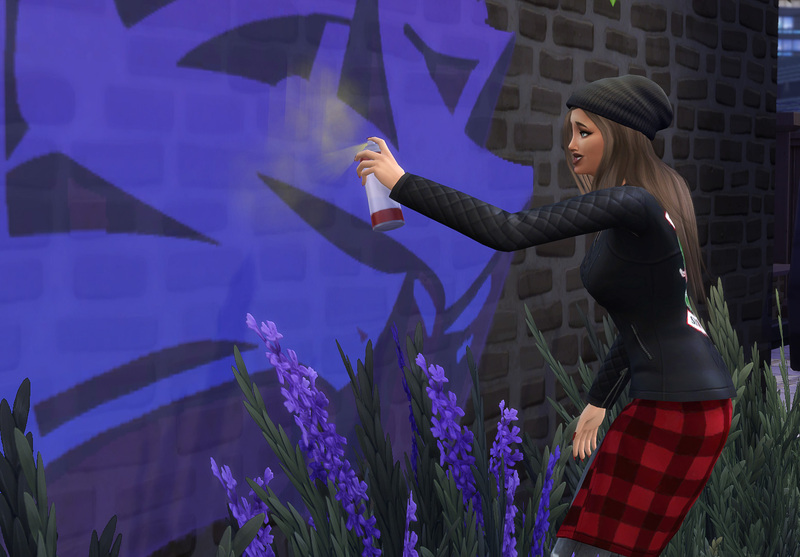 Download the Hide Lot Trait Effects mod This gets rid of the lot trait effects. Either remove the traits yourself or use this mod to hide them. 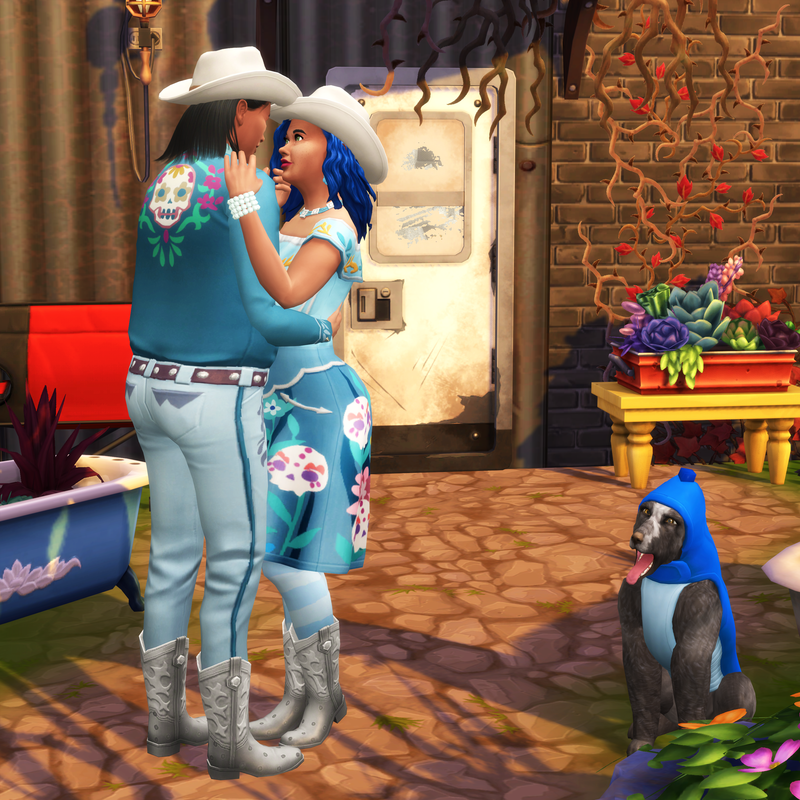 **Tell us what you did:** I Thought These "Country Style" Outfits Were Cute And Cheesy...... To Match A Couple Up In...So I Paired Up An Adorable Middle Aged Couple And Moved Them Into A Run Down "Shack" ... DOG Included Of Course!!!!! **Tell us what you did:** I wanted to have a theme so I searched for a one that I could play off of well but that also gave of a contrasting flare to it. So I settled on a Grease inspired look lol on the left Giselle is sporting a Sandra Dee look with her base game sweater and skirt combo. While on the right she's sporting a Danny look with her base game leather jacket. **Tell us what you did:** Marlene to the left is wearing base game striped long pants and Ivanca to the right is wearing base game checked skirt. Congrats everyone! Thank you so much for joining my competition and I'm glad it was such a hit. For years I wondered if this idea would be well received and it turns out it was! I wish I had started it sooner. I hope you all enjoyed it, and I can't wait for next season to see more of your amazing creativity and styling. I hope to see you all in Fashionography, another comp I'm excited to see play out! I have some fun assignments planned for it. **Mizzie** - The entire setup of this image is just perfect. Spot on composition, lovely detailed background, and the models are presented nicely. Great styling too! I see a bit more goth than steampunk, mainly because of the colors. Steampunk is usually metal colors, mainly browns, and while you can expand into other colors the steampunk theme would have come through better if you had used metal colors here, or even added steampunk accessories. Great job overall though! **Jillie** - Wow! This looks so amazing!! Both girls look great and I love that they both have the same coloured hair - I assume they are sisters? I love, love, love the styling on both of them. You can see they both have their own styles but they still match each other so well! I don't really get steampunk from it though. If you would have said gothic I would say you nailed it perfectly, and maybe that's what you were thinking of? Overall this is a gorgeous shot! The composition and posing is spot on. Awesome job! **Will** - Ok so i actually had to google what steam punk looks like xD cause i had an idea of the style but i wasn't too sure. I see a lot of steam punk elements in here, but what would really solidify the style of steam punk here is if one of the girls wore a top hat with some goggles on. Maybe even having some gear accessorizes. I love the background and i think you did a good job with it. **Mizzie** - Aww, so cute! I love that you always have a country flair with your entries. The background reminds me of how some of those country homes look, which is nice attention to detail. The dog is cute, and the pose the couple is in is so loving and sweet. I agree about the tights though and that bare skin would be better (tights seem to be your enemy, lol). The skulls, while odd, give the styling a nice flair, especially because the couple look (at least to me) Spanish and the mashup of styles fits. Overall great entry, and you did so well throughout this comp! **Jillie** - Ahh! This is just the cutest photo! I really like you idea of doing a couple and I think they match each other perfectly (and that dog OMG I died)! 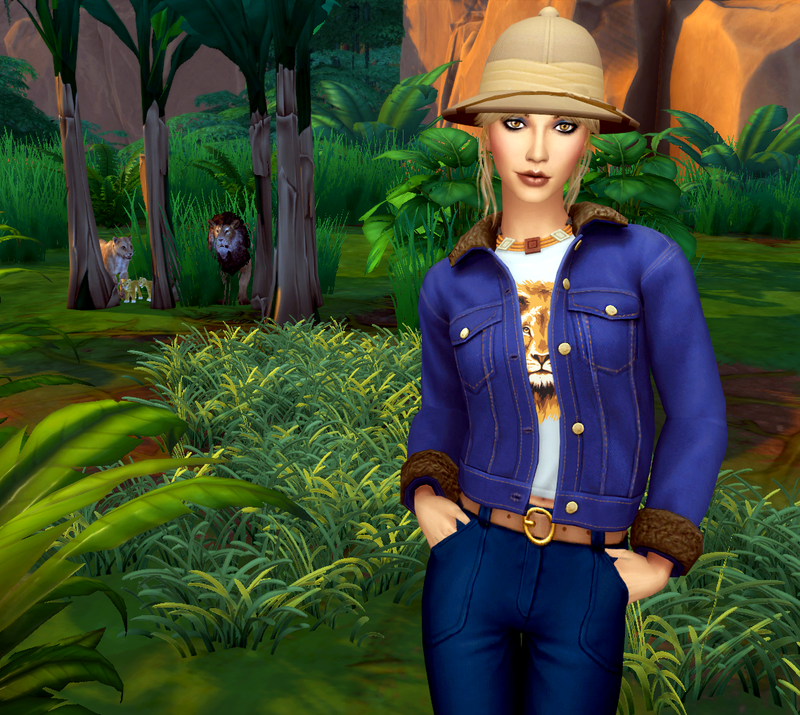 It was a little different with using the skulls but I find it gives your basic country style a little added flare. It honestly kind of gives me a Strangerville vibe and I love that! I think my only real critique is that I would have ditched the tights on the girl - I feel that there is enough blue going on that it would have been a nice relief to have a bit more skin. Also the shadows look a little odd on the main picture.. but I assume this is an in game shot? Overall I think this was a great final picture, it was cute, unique. Great job! **Will** - This is such a cute and romantic photo! 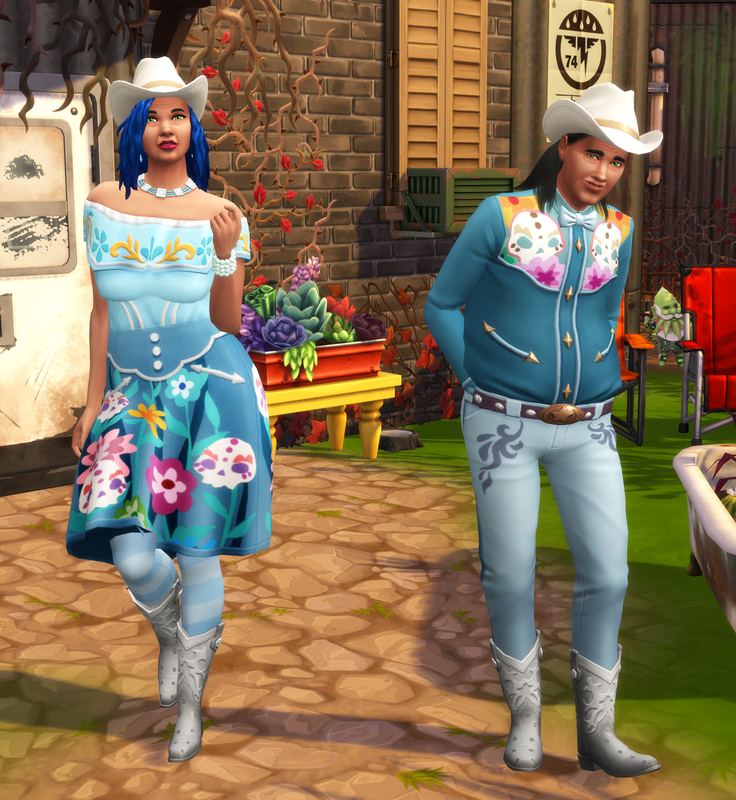 There are definitely country aspects to their style, boots and hats, but i cannot picture this style as country because of the skulls. I believe those items were added in the game as a celebration of the Spanish holiday "Day of the Dead" They are really nice, but maybe if you recolored them (or find another version) without the skulls it would be more country. I like the idea, the background, and ofc the couple standing out from the background. Also i think you've come really far in your editing journey and i encourage you to keep improving! **Mizzie** - Ohhh, I love the Grease theme! I think you nailed the styling, but the background doesn’t complete the image in my opinion. It feels retro, fits the Grease theme, but I think creativity wise this could have been taken further with a scene from the movie, or something else. It’s just missing that bit of flair. Great work though and keep it up! You really stepped up the last few rounds. **Jillie** - This is such a great idea! I love that you had the model play both the rolls and I love a good opposites shot! I do kind of wish that while they were different characters that you still would of had a more cohesive background. Like maybe even with that dollhouse trend where "Sandra" looked like she was inside and "Danny" looked out in the parking lot. I do love the styling of both! Great to give "Sandra" that Pink Ladys colouring but still in her Sandra Dee styling. I would suggest with it being a bit more casual -especially with runners - to just stick with the pearl necklace and ditch the bracelet. Overall this is such a cute shot. Great job! **Will** - Yeesss i love it when there are split themes like this! Idk why but the left one almost looks like vintage to me (like those vintage diners) probably because of the tiles, not that i mind tho. Only bits of improvement is, try to have both sides equal, the left side is a bit bigger than the right side. Also try not to cut out your sim's feet, left one, a bit is missing. Anddd that's it, because this competition has a lot of freedom. 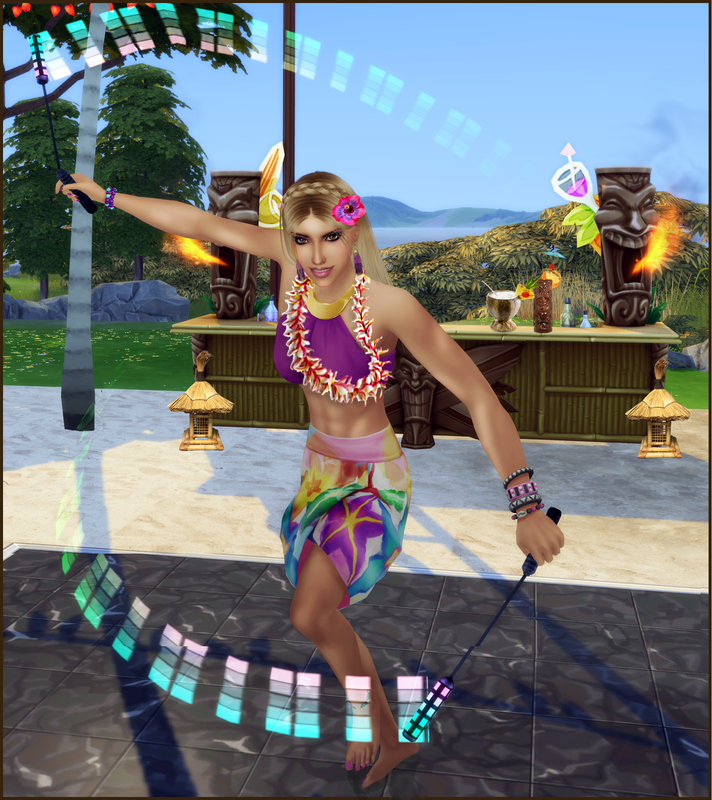 Remember, we want to see the outfit and you can use any sim, Teen to Elder! Tell us what you did: When I saw the alternative colours provided, I chose a cool colour and it came across to me as a casual comfortable top matched with shorts that you would wear camping on a summer's day. So I decided to set up camp with my dog Elke and go fishing. Decided not to pose my model and try and catch a nice, natural expression. Tell us what you did! : I Decided To Go On A Picnic On A Sunday Afternoon. It Was A Gorgeous Outside And A Sunny Day With The Birds Chirping. My Brown And Beige Design Was Perfectly Fitting For My Picnic. Tell us what you did! I was inspired by the Artsy Fashion style and recoloured a top and skirt. Tell us what you did! : When I saw the top I KNEW which color/variant I wanted to use.I wanted to go for a sleek luxury look so I paired with a solid white pair of fitted pants and accessorized in gold tones with a "Rich Girl" feel. So I decided it'd be a perfect Gala dinner outfit or for a wealthy fundraiser event! Tell us what you did! : When her ex-husband died she was filled with many emotions. Sadness because he was her first love and she will forever love him. And anger/disappointment because he left her for her sister. Tell us what you did: This top reminded me of a bridesmaids dress my Aunt was forced to wear back in the '80s. Poor thing, she had a bunch of terrible wedding party dresses. Tell us what you did: Well I didn't like the neons and i knew i wanted a garden like scene for my photo. I thought the white would make her a little more focused amongst the green. When taking the picture, the rain just wouldn't stop. It rain for 3 days!!! So i decided to go for a dancing in the rain pose inspired by my newest pose pack since i wanted to test them out! Tell us what you did: The top with the correct accessories, would be perfect for any teacher to ware. I dress her in a soft mint top with whites pants and a floral cardigan. I added floral cardigan to make it fun and interesting. Tell us what you did: The top reminded me of an old fashioned tankini top ones recoloured, so I created a sim from the 60s to show off the fashion from that era, I also recoloured the bottoms. Tell us what you did: I thought the top looked like something a girl-next-door would wear, and I saw the opportunity to add a country/western flair to it. I used the Pets expansion for the shorts and boots. Tell us what you did: When I was playing around with different bottoms, I really liked how the ruffles on the bottom of the skirt compliment the flare at the bottom of the shirt, and the puffed sleeves with their little ruffled edges. I feel like the loose slouchy sandals and the springy curls bring this energy too. From there I used a lot of red because I knew I wanted to shoot outside and I like the high contrast of red and green. Second assignment is here! This time a dress. Remember, aim for creative shots and not just standing there, and you can use any color you want. Tell us what you did! : I went with the white and thought mai dress reminds me of maternity and white snow. Tell us what you did: My inspiration, once I saw that this dress had a lovely pastel floral option, was to put my model amongst some beautiful flowers and in a garden. So I added floral accessories and gave her a Hippie look. Tell us what you did! : I Decided To Do A Floral Recolour For Spring / Summer - Tawny Wanted To Go To The Park With Her Cat Coconut And Enjoy Cuddling Time And Play! The Park Was Full Of Flowers And The Dress Was A Purrfect Choice! Tell us what you did! : I recoloured the dress. 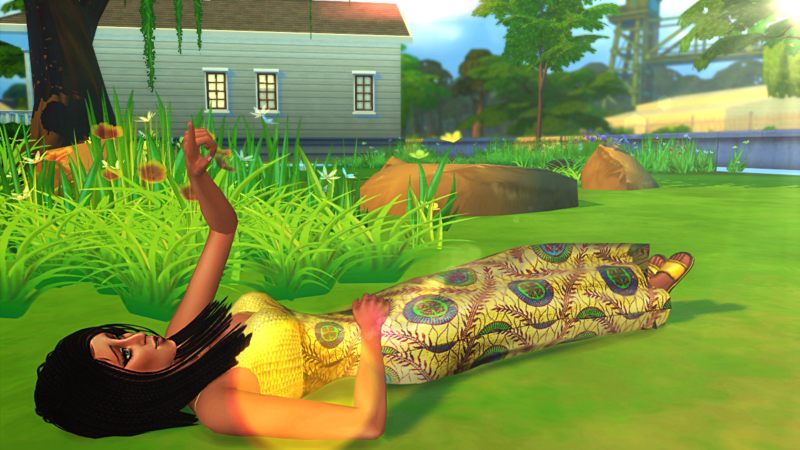 Tell us what you did: I had this old recolor of this maxi in my game and I never used it for a look, and its such a pretty sunny gold color with this really fun pattern! why not let Taylor Kalani lounge out in the sun with it? Tell us what you did! 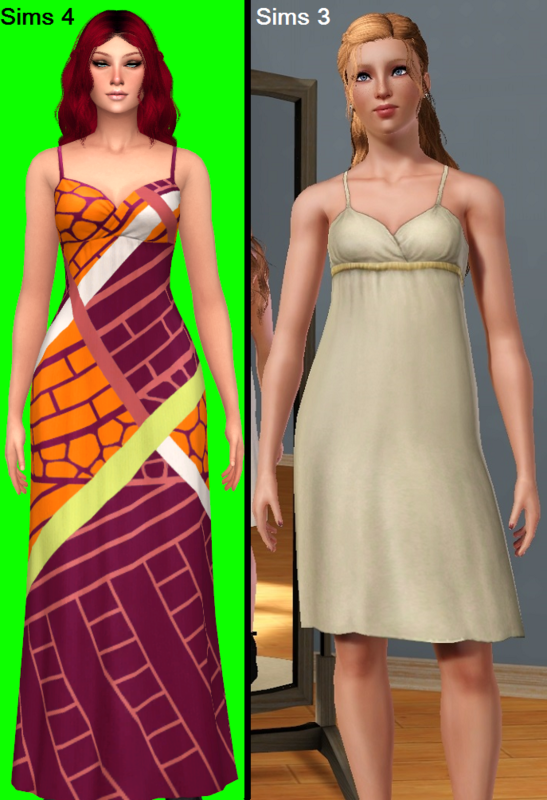 : When I saw this dress I decided to recreate the design in the background. and of course add the orange chair for a pop of color. Tell us what you did: This dress just reminds me of a soft summer day. Perfect for a stroll around the botanical gardens. Tell us what you did: My inspiration right now is seasons. Ok so i just bought it. I know i used this rain thing last round (this is the last one i promise!) But the lighting and the mood is GREAT! 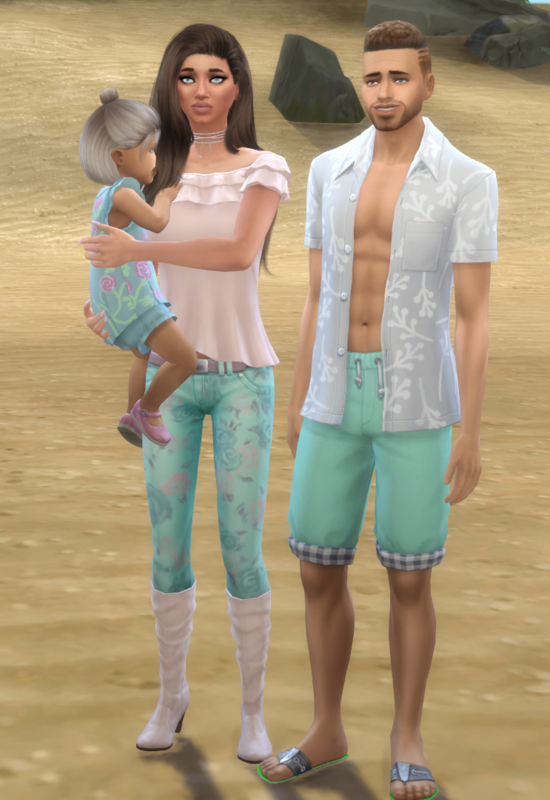 So i went with my sim going out to the beach, all dressed up and feeling the rain come in. Naturally a bit upset ... and that colour of the sky matches her mood! Tell us what you did: Today Marlene was very comfortable in her floral dress doing gardening. We took the shot when she decided to pick some wild flowers. The flower really complimented her dress. Tell us what you did! : I felt like it had the potential to be a simple glam dress, perfect for formal events, so i recolored it with red glitter and she is in her house ready for a party! (Sorry I did not have a lot of time to show its full potential, or edit very well). Tell us what you did! I pretty much just went into CASt and played around with different patterns and colours until I found something I liked! This dress is very casual and flow-y so it made me think of the beach. 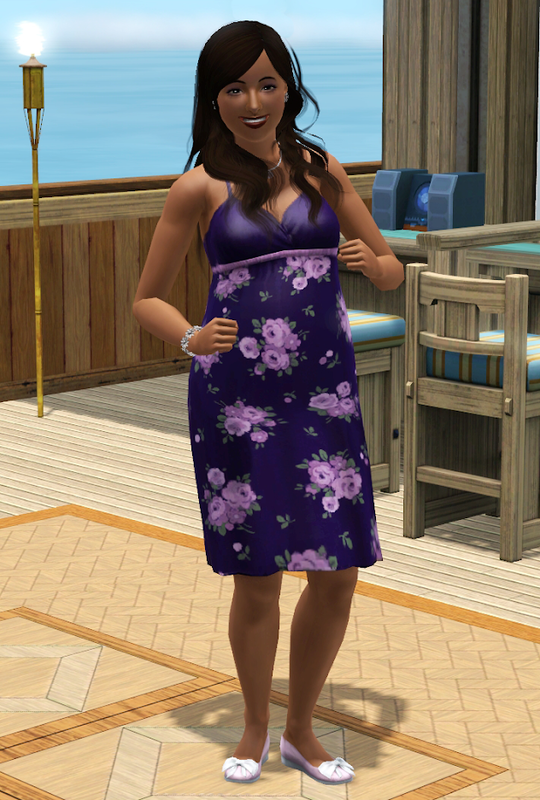 I also got Island Paradise recently so I am loving the backdrop of Isla Paradiso I picked a lot of flowery and flow-y accessories to match the print and the dress vibe. Assignment 3, and this round there will be only 1 elimination (unless there is a drop). Time to dress to impress if you wanna stay! Tell us what you did: The white version of these jeans gave me a pristine and natural feel so I decided a picnic in the fresh air and amongst unspoiled beauty of nature was a good option for this outfit. Tell us what you did: Was A Romantic Amusement Park Date... Shopping Made It Easy To Pair The Jeans With The Pink Sheer Camo Top... And It Felt Like A Pink Camo Day Going On A Playful Date! 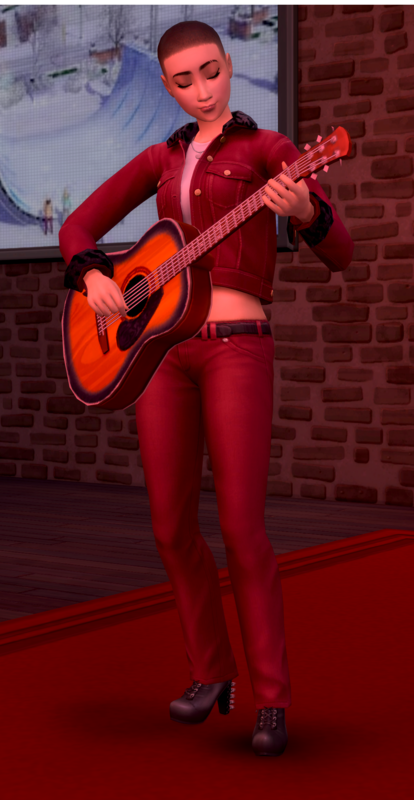 I imagined her as a rockstar in the all red outfit and plum boots, so she is just having fun jamming away! Tell us what you did! 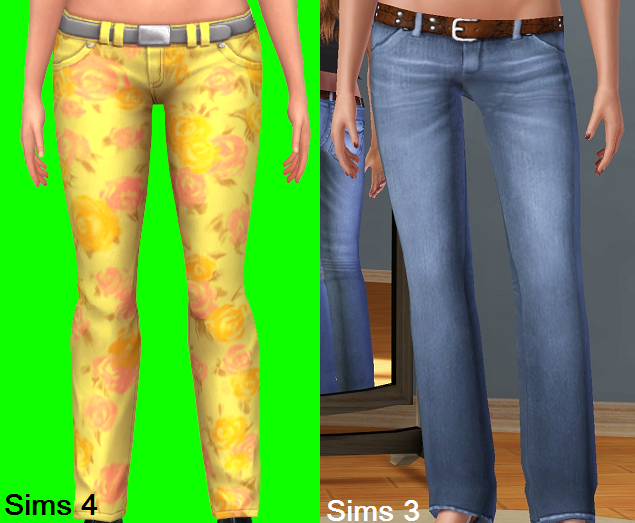 : I recoloured the jeans. Tell us what you did! : Felt like these pants were perfect for a nice outing to the lighthouse. and the pastel colors are perfect for the sunset behind them. Tell us what you did: Comfy night on the couch with your love and a movie. 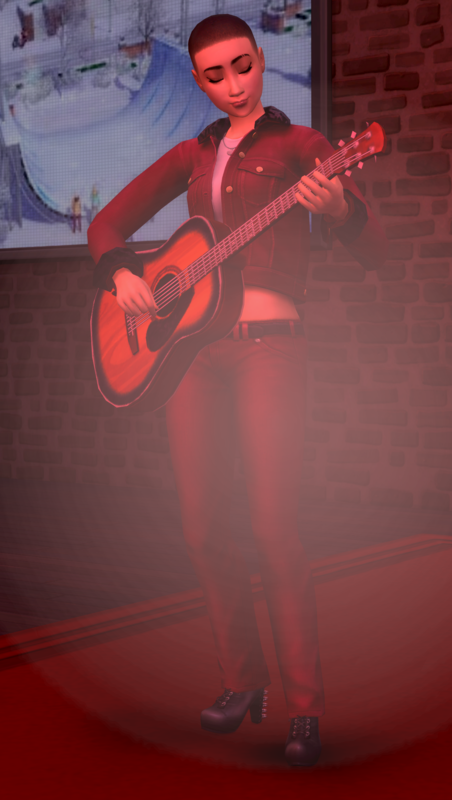 Tell us what you did: Total fluke, actually i was watching my sims just go hard on the karaoke machine, and i liked the stance when they went back to back and sang with eachother. I thought it was cool! And i figured i'd be able to put some nice lighting with it when the machine lit up. Tell us what you did: Marlene is quite the free spirit. By putting together a 60's look with accessories Marlene was most pleased and comfortable on her road trip outing We used the red jeans to complement the whole outfit. The photographer had to keep up with them on the freeway to catch the two in motion. We have a twist this round! You are allowed to choose between the two skirts shown below. The left side displays the harder to work with skirt (+5 points to the overall Total score for those who use it), and the right is the easy skirt. You are only allowed to use one. Can you impress the judges with your choice? Note: 5 points is not a lot, but if scores are close it can bump you into the next rank. Points are added to the overall Total (so the 150 or 180 total). Please do not feel obligated to use the harder skirt. Go with whatever idea you want or think will work out best because you may score better that way. **Tell us what you did:** When I saw this floral version of the skirt, I immediately thought, "Island Paradise". I decided to match it with a bikini top and have her doing a dance. Added a couple of Island cocktails, a few palm trees. No pose needed. 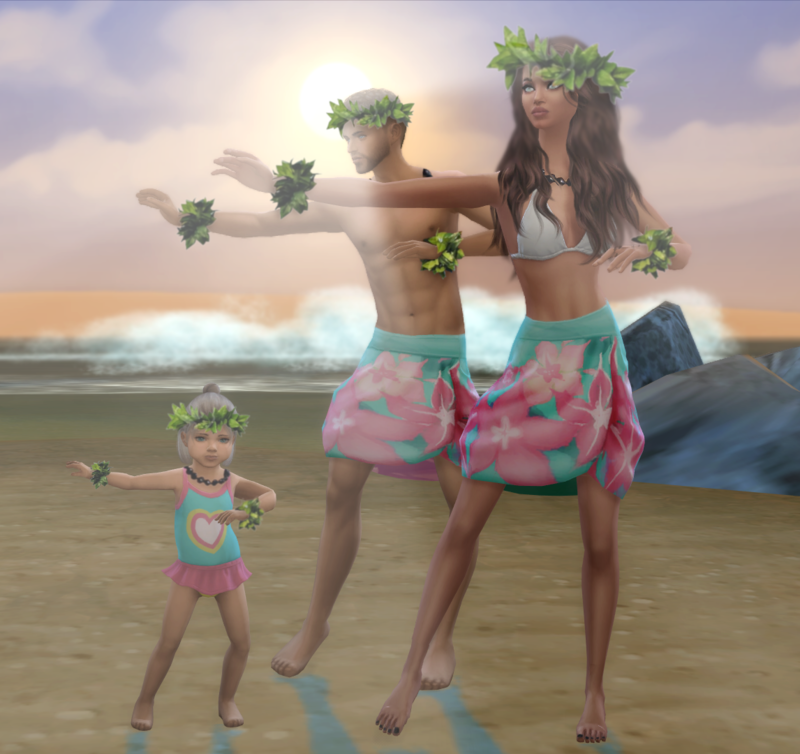 **Tell us what you did:** When I saw the skirt I knew I had to use the palm leaf tropical style it for a pool/swim look with a tropical flare! **Tell us what you did:** When I saw this design of the skirt I immediately thought of Hawaiian flowers and Hula dancing. So I decided to run with that idea. And of course hula dancing most likely occurs on the beach, and what's more beautiful than the beach ...the beach at sunrise. **Tell us what you did:** When i saw the skirt, and the pattern i naturally thought of Egyptian because of the shapes on it. And when i matched in the shirt and shoes it all seemed to come together. Turns out there isnt tons of Egyptian inspired things in the gallery or in the game. Now that (one of) our twist(s) is out of the way, it's time to go back to a classic combo. **Tell us what you did:** I Remembered When I Was A Little Girl I Would Walk Through The Woods Picking And Tasting The Honeysuckle Juice .. And The Woods Were Full Of Trees With Gorgeous Flowers And There Was An Old Fence I Would Sit On And Remembered Jo Jo Had Poses For Fences ... So I Thought It Would Be Perfect For My Memories As A Child To Incorporate In This Look...!! 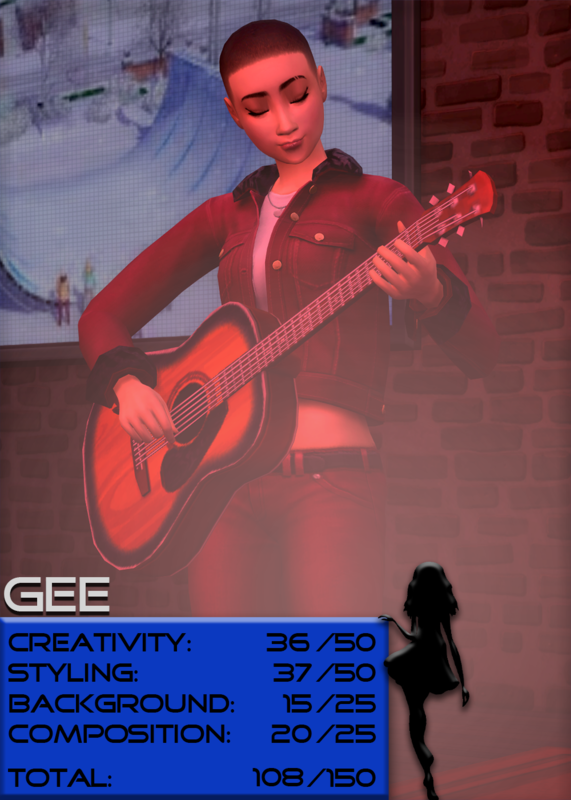 **Tell us what you did:** I REALLY wanted to do a Winter outfit BUT I don't own Seasons so I improvised with the special effects from Get Famous! **Tell us what you did:** I'm not a camping type of girl, myself (I require indoor plumbing!). But I imagine this jacket is what an outdoors woman would wear on a cool fall night while roasting marshmallows and telling scary stories. **Tell us what you did:** Literally so many cowgirls this round, so i decided where would i wear denim, i thought a music gig or something. 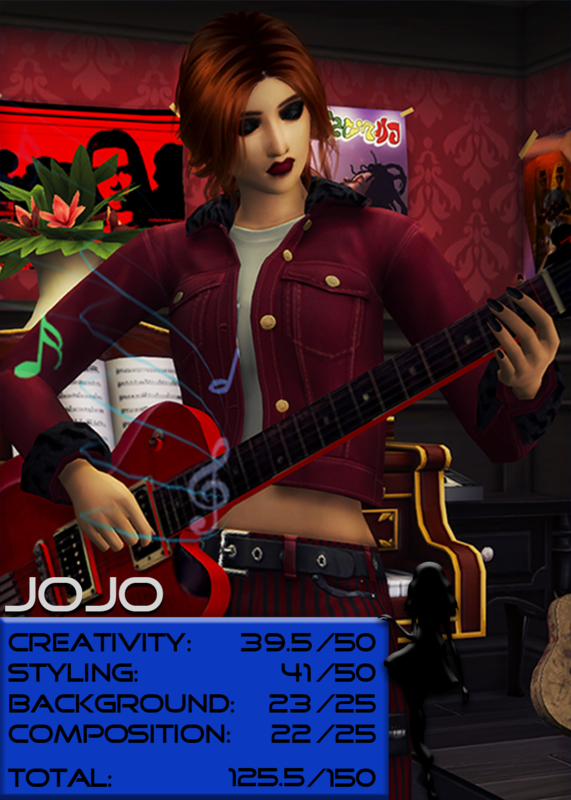 So i put my model in a dark room with her music and her guitar with her dark clothes and her gloomy mood! **Tell us what you did:** Marlene went to visit her grandparents in the country, one spring break. She wore her favourite denim jacket with her cowboy hat and boots. When I saw her, she was hiking to meet up with her friends. I quickly took her picture, hence the name country road. **Tell us what you did:** I started off playing around with bottoms and I really liked how the skirt builds off of the flow from the top, as well as how the wavy edges mirror the trim on the jacket. I thought it looked like a nice spring jacket so I added tights for extra warmth! I wanted to work with blues because "April showers bring May flowers" and also it's a colour I don't generally touch so I wanted to challenge myself with that. She's sitting in a waiting room at an office waiting for an appointment reading a good book. This round is up to you! You can choose any base game clothing item you want to show off. Maybe it’s your favorite base game dress, or maybe something caught your eye the past few assignments and it gave you some ideas. You can’t reuse the base game clothing from the previous rounds (the clothes we focused on for each assignment, like the skirt), but all other base game clothing is usable. **Tell us what you did:** I Decided I Wanted To Do A Fairy But I Couldn't Find Anything I Wanted And Remembered This Lingerie Piece So I Thought How About A "Naughty" Fairy! **Tell us what you did:** Thanks for letting me re-do it, I realized the first skirt I and top outfit I looked at when finding the first look actually would have meet the requirements of being both base game. 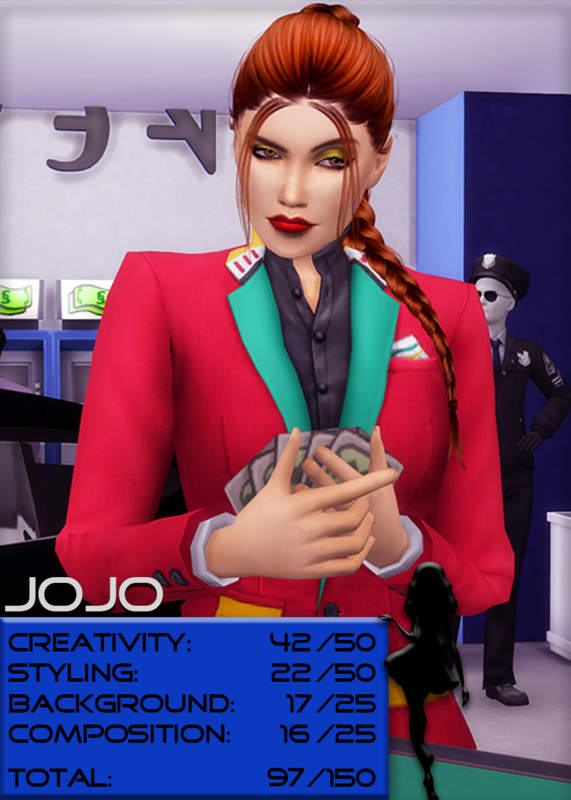 to be fair with my original entry I kept with the noir theme and used the same hair, etc. the color photos are in the spoiler! **Tell us what you did:** Back story of Bristol is that she's kind of a bad girl. so I went with the bad girl look with stereotype of a bad girl, spray painting graffiti at night on a building. **Tell us what you did:** I had a giggle. I went around and around in circles trying to come up with an idea! But heck It work day and it don't matter what your wearing when your trying to sell hotdogs! I'm sorry ladies/gents, but you have been eliminated. Now we're switching back to our usual routine. I chose this suit for our semi-finals because I had a feeling it would probably be difficult to make this outfit look good while being creative. This suit is under the "masculine" tag, not feminine. This is also an elimination round and 3 people will be leaving us to reach our Final 3. So, who can wear it better? **Tell us what you did:** I decided have a look at the suit and all i could think of was a poker felt. The greens and the reds... and it was formal, so i could see her at a casino. I wasn't very inspired this task, but im glad i came out with something! 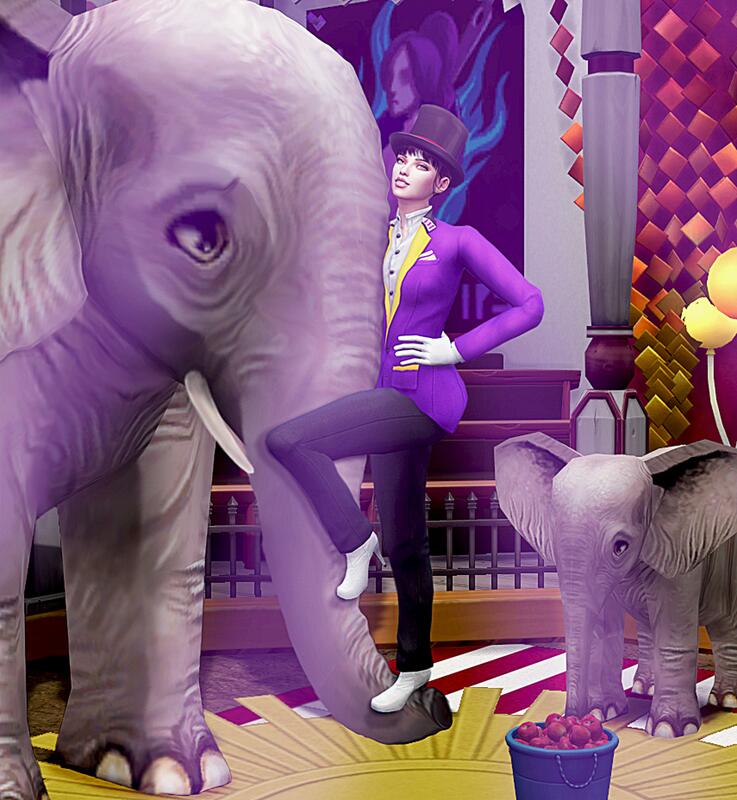 **Tell us what you did:** Marlene was invited to perform in the circus this week and this outfit paired with a tophat made the perfect outfit for this occasion. I'm sorry, but you have been eliminated. Hey guys! WWIB is now open and feel free to sign up on here, Discord, or Twitter. As you can see, I’ve made changes to my usual rules/first post due to Discord/Twitter needing more info as their community is slightly different and still beginning. All of the rules, except extensions and any competition specific info of course, are the same. The difference for extensions is that they now require 8+ hours before the deadline, and last for 1 day unless you need more time (like usual). Everything else is the same and info you already know, and that is the info in “General Rules” under the spoiler. So, the only thing you need to read (if you aren’t new to competing or from Discord/Twitter) is the “Competition Info”. Easy-peasy, right? I still need to advertise tomorrow morning for Discord/Twitter, but launching here tonight! Oooh I must have been reading this as you were writing it up!!! Reserve me!! @heather1306 Sure thing! Glad to have you on board. Alright, everything looks good now after I checked for the 100th time (almost forgot the due date ). Going to bed now, will work on advertising, etc. tomorrow morning! I've been excited about this one since you posted your poll!! 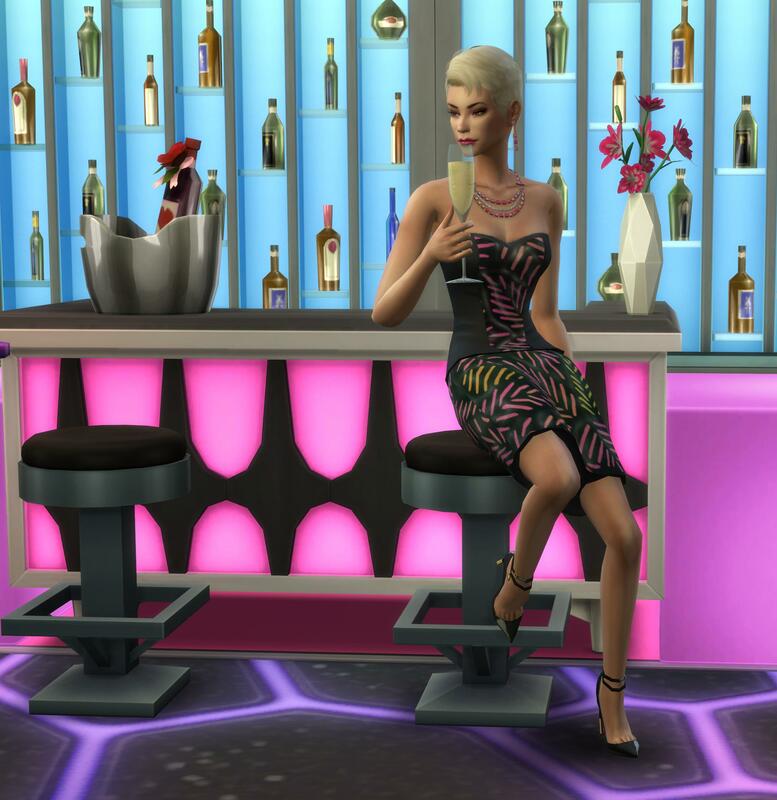 Reserve please I will be using Sims 3! I have a question about clothing choices. You said that they should be game pack only. Does that include expansion packs or only base game clothes? @gardenGothic Wheee! So excited myself! And thank you for letting me know, I'll get to work on Sims 3 assignments! Omg, thanks for pointing that out! Even though the intro has been written for several months I totally didn't remember that Game Packs are an actual thing! When I say game pack I mean any pack in general can be used. I'm going to go reword that, ack. @heather1306 Yay first submission! Looks great! Okay the thread (and Discord) is updated! I reworded everything that mentioned game packs to just packs and also explained that ALL packs can be used when dressing the model. I also changed the due date to February 12th as I know we have 2 other competitions up and running and some people are hitting their limit with competitions. Hopefully the 2 extra days help! I'll give this a go, @MizoreYukii So have I understood this correctly we can use CC clothing to show of the non CC piece you provide? But have to include, as here, the top you used for this first assignment. Is that right? @Jendowoz0612 No CC clothing at all. CC/Google is allowed for everything else though. 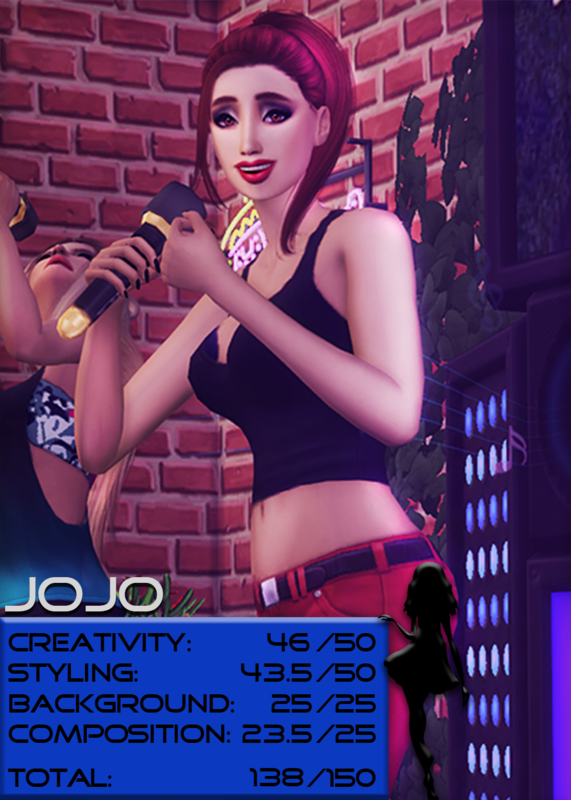 Recolors though, ones without mesh edits, are not considered CC for this competition. I know they technically are and show up as such when added to the game (with that little wrench icon under the color options) but I don't because it's the same mesh, just new colors or textures added. 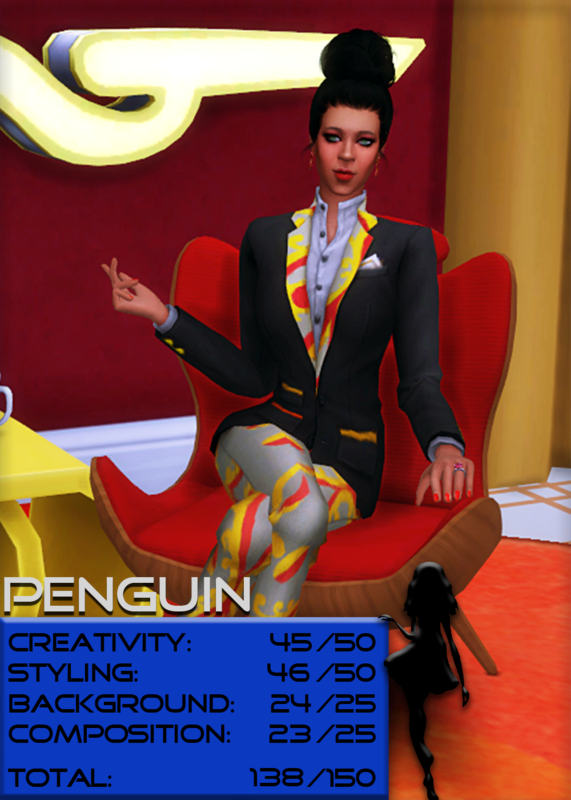 For me, it's the same as the Create-a-Style in Sims 3, where you could add your own patterns/textures and colors and even download recolors from the exchange. So it works this way: every round I give you a base game clothing piece to focus on. Like for this first assignment it is a sleeveless top. You need to take pack clothing (anything from expansions, game, stuff packs, or the base game) and design an outfit with that top as the main focus. So looking at this I could say "Oh, it reminds me of a fashionista" and then design a high fashion outfit with that top as my centerpiece. 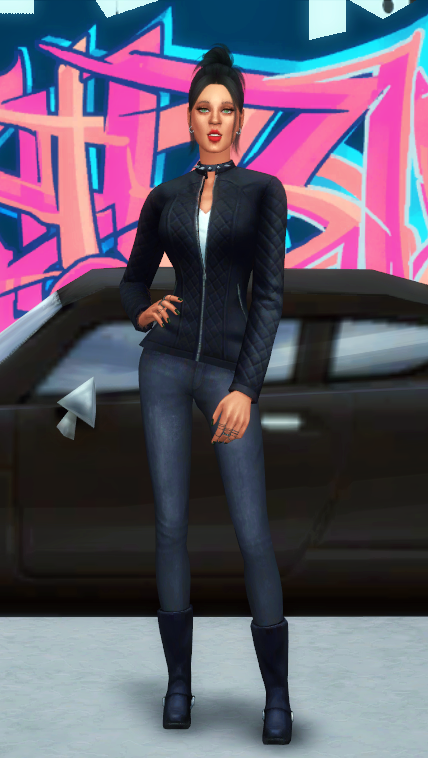 I can then use Google/CC accessories or hair to add to her look, since S4 is lacking in accessories and this is where CC enhances your chosen theme. I could download and add a unique hair and some stylish jewelry, maybe throw in a purse. I think so, so all clothing including the piece you provide each round needs to be from in game and not cc? @Jendowoz0612 Yes, all clothing is in-game and EA created only. Recolors without mesh edits are the only exception. Hair, hats, shoes, etc. are accessories and can be from the game, CC, or Google. Okay gotcha! so your example is the pink and black, but I can use any of the other combos that EA provided? This will be a great challenge for those used to CC, love the idea of this, Mizzie. OMG!!!! I AM HERE FOR THIS!!!! I like this concept it's simple yet original and bold! Reserve me, sweets!!!!! 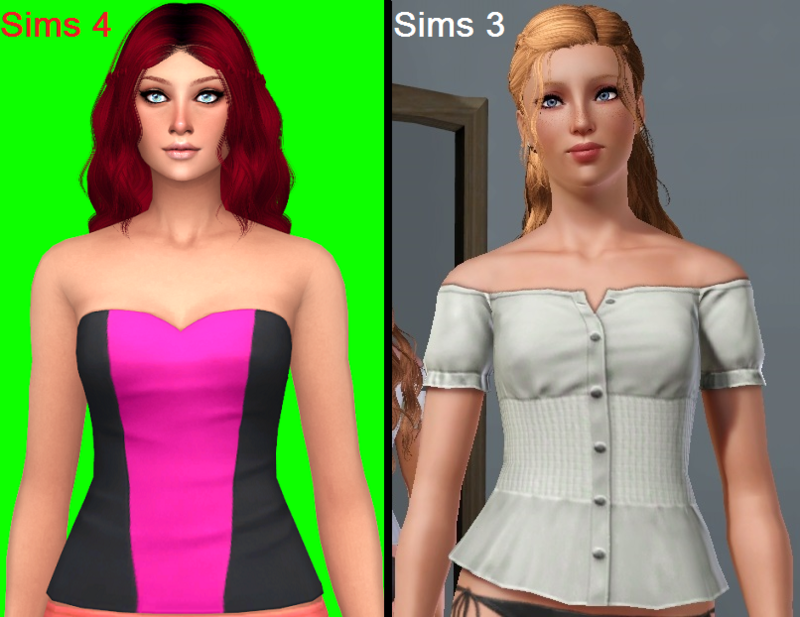 @Jendowoz0612 Yes, any of the colors from EA you can use, or you can recolor the top yourself if you know how! Also, love that application and the bold yellow background! Great choice. @Penguinwa101 Whaaaaa, so happy to see you here! I missed you in Muse C2. Also, congrats on graduating! What is going to be the deal with doing Sims 3 in this? I'm thinking about joining something but I hate modeling in Sims 4 so I'd use 3 haha. Vanaaaaaaa! I was getting worried about you since you've been so quiet! Everything works the same for both games, the only difference is the clothing piece and I'll be choosing one that is as similar as possible. So right now S4 has a sleeveless top, so I'll be looking at S3 for a sleeveless top as well. If one doesn't exist, I go to the next similar style. You guys will be judged the same though, I just need to let the judges know you guys are using a different top since you are using S3 and to post the entries in groups to avoid confusion. If I notice any issues with this working I'll make some changes to reflect that, but I don't think there will be. lol Mizzziiiieeeeeee yeah I've been quiet, I'm about to start my last month of class! I think I did pretty badly on my studio submission but I haven't gotten the grade yet, I don't think I failed though. XD I just worry that I did. Anxiety yo. 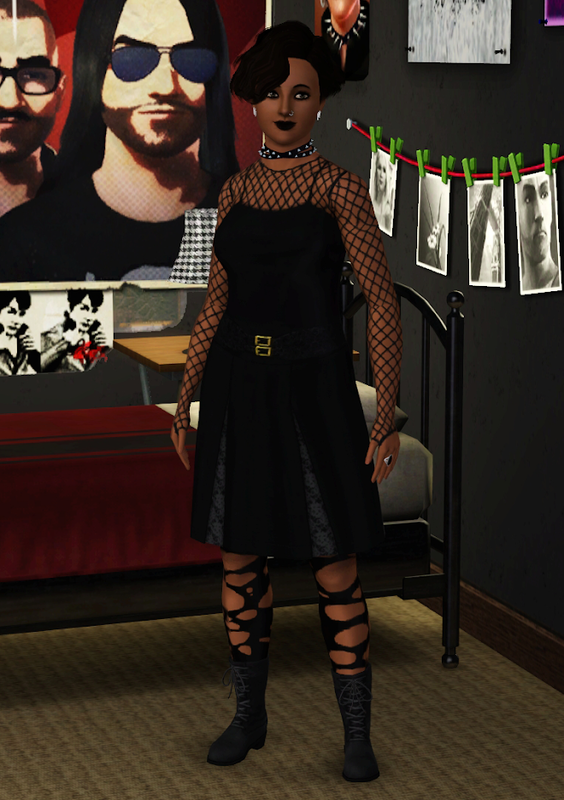 That's awesome, I'm thinking of this top from the... gods I don't remember what TS3 expansions are called, I think "Late Night," there's a top like this, it has spaghetti straps and I used it on so many goths haha. Well, sign me right the hey up. I need something like this as an outlet for when I get overwhelmed with classes!